If you’re trying to improve your credit score, take a look at our guide to help you understand what a credit score is and how you could boost your score. 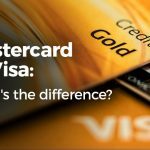 Prepaid cards, debit cards and credit cards: What’s the difference? If you’re unsure of the difference between prepaid cards vs credit cards and debit cards, read our guide to learn more about these financial products. 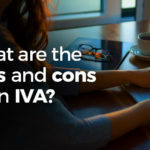 If you have an IVA or you’re considering applying for one, take a look at our guide to see how it will impact your credit file and financial health.